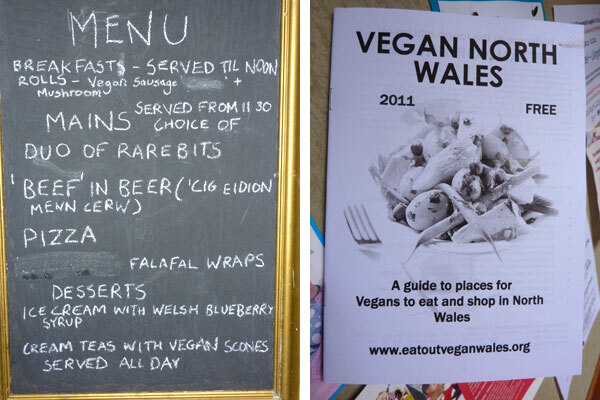 Vegan Café 4 the Day - could your group do this? Last Saturday Hazel and I went just over the border to Llangollen in North Wales to visit the ‘Vegan Café 4 the Day’ in one of the old halls in the middle of town. 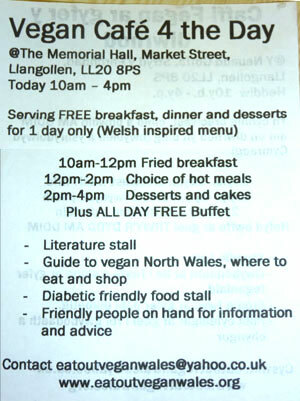 The FREE Café tours Wales, setting up for one day in towns where there are no other vegan places to eat. 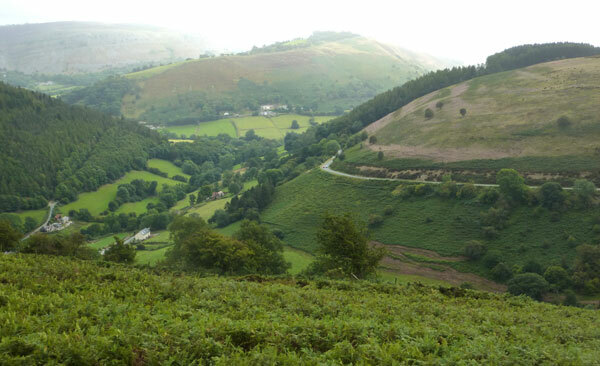 The group take the event all over Wales, and have been getting great responses everywhere they go. 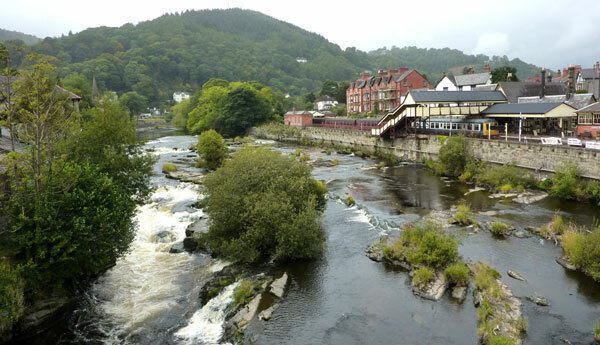 Llangollen (pronounced Thlangothlen) is a tourist town and it was full of visitors on the first Saturday of September, which made it an ideal venue for the vegan event. The old hall was packed, with a mixture of vegans glad of somewhere to eat and meet other vegans – and a lot of curious locals and tourists who came in just to try what was on offer. The atmosphere was good too, all very relaxed and friendly, with more of a sense of community than normal cafes where people often don’t talk to those on the next table. 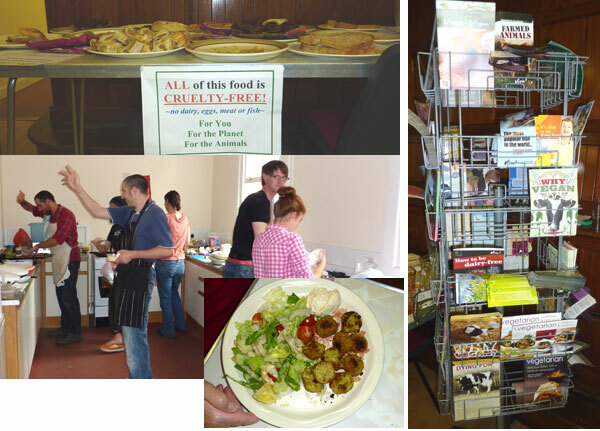 It was all run by volunteers, with funding mostly from donations plus a small grant from the Vegan Society. 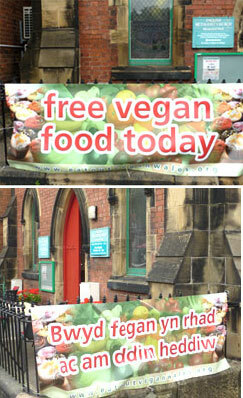 Right: signs in English and Welsh outside the old building. This touring café is an idea that other groups around the world could use, especially those away from the bigger cities.